Enforcement officers with the Alcohol and Marijuana Control office seized CBD oil from several marijuana stores on Thursday. Sara Chambers, acting director of the office, wrote in a release the oil fell under the state regulation definition of marijuana. Stores selling the products that hadn't gone through the state's testing and packaging requirements were violating state law, she wrote. CBD, which stands for cannabidiol, is a compound found in both cannabis and hemp. It's not psychoactive, so it doesn't get people high, unlike THC, the active ingredient in marijuana. CBD oil is often used for pain management and has been researched in treating a wide range of illnesses. It can be made into a variety of products, like oils and salves. CBD products derived from hemp can be purchased at other businesses in Alaska, like natural health food stores. When asked whether other Alaska businesses would have their products seized, Chambers wrote that the office's primary mission focused on the marijuana industry. "With existing resources, this extends first to ensure compliance by licensees. Our investigative staff will assist local law enforcement in any additional investigations or actions they may elect to pursue," Chambers wrote. Chambers said she didn't know how many businesses had products taken on Thursday. The investigation was ongoing, she said. Wasilla-based retail store Green Jar was one of the businesses from which CBD products were taken Thursday. Co-owner Caleb Saunders said two enforcement officers came by the shop and took thousands of dollars' worth of Charlotte's Web brand hemp oil. "They took all our product. They didn't give me any paperwork for anything they took. It kind of just felt like a raid. They just came in. I mean, they were nice," Saunders said. Saunders said the store had been selling the hemp oil since August. He said he was confused by the seizure. "I just didn't know that a hemp extract was marijuana," Saunders said. Anchorage marijuana store Arctic Herbery owner Bryant Thorp also said he had hundreds of dollars' worth of CBD oil taken Thursday. Chambers declined to say why the products were seized at this time. 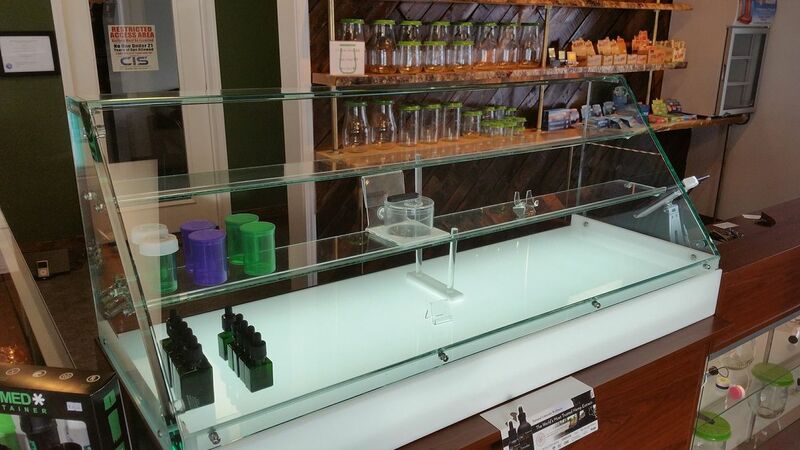 Saunders said the CBD oil sales have been allowing them to keep their doors open while they wait for local government approval to start selling marijuana. They were told that they may have the products returned next week, and that they would be getting a notice of violation from the state, Saunders said.